Is this the marriage you wanted? I know that's a blunt question. But take a moment to be really honest with yourself. 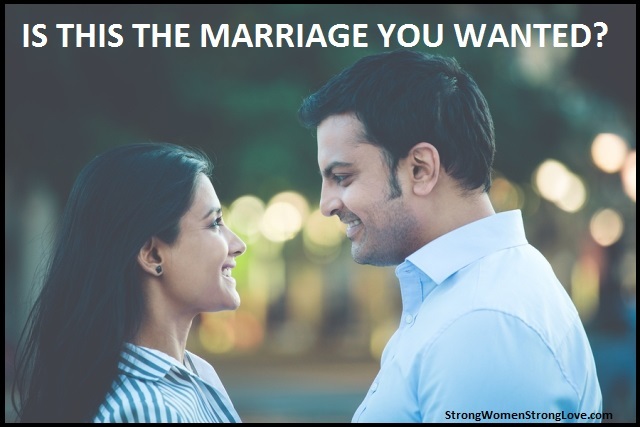 If your marriage isn't what you want it to be, what are you doing about it? Because there are things you can do. It's easy to buy into the common idea that if your partner were your true soul mate, he would instinctively fill all of your needs. That simple expectation can set your relationship up for trouble by putting you into a passive role in your marriage. The reality is that you have some ability to shape your marriage. As I've said before, there is no neutral in a marriage. You're either building up your marriage or tearing it down. Take an active role in your relationship to help it grow into a relationship that meets your needs. Even if your marriage does feel perfect right now, don't assume that it also doesn't need daily maintenance. Marriages can change for the better or for the worse depending on your daily actions.